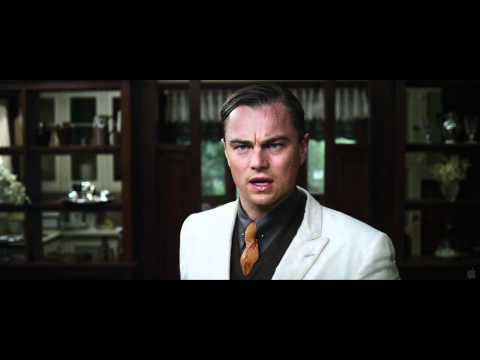 A gripping story of the rich and famous in the 1920's in America. It is well-worth re-visiting this classic novel. I watched the movie first and fell in love with it instantly. I had to buy the book and I was not disappointed one bit! Beautifully written, it makes you feel like your apart of it! There was music from my neighbour's house through the summer nights. In his blue gardens men and girls came and went like moths among the whisperings and the champagne and the stars. At high tide in the afternoon I watched his guests diving from the tower of his raft, or taking the sun on the hot sand of his beach while his two motor-boats slit the waters of the Sound, drawing aquaplanes over cataracts of foam. On week-ends his Rolls-Royce became an omnibus, bearing parties to and from the city between nine in the morning and long past midnight, while his station wagon scampered like a brisk yellow bug to meet all trains. And on Mondays eight servants, including an extra gardener, toiled all day with mops and scrubbing-brushes and hammers and garden-shears, repairing the ravages of the night before. Every Friday five crates of oranges and lemons arrived from a fruiterer in New York – every Monday these same oranges and lemons left his back door in a pyramid of pulpless halves. There was a machine in the kitchen which could extract the juice of two hundred oranges in half an hour if a little button was pressed two hundred times by a butler's thumb. At least once a fortnight a corps of caterers came down with several hundred feet of canvas and enough coloured lights to make a Christmas tree of Gatsby's enormous garden. On buffet tables, garnished with glistening hors-dÕoeuvre, spiced baked hams crowded against salads of harlequin designs and pastry pigs and turkeys bewitched to a dark gold. In the main hall a bar with a real brass rail was set up, and stocked with gins and liquors and with cordials so long forgotten that most of his female guests were too young to know one from another. By seven o'clock the orchestra has arrived, no thin five-piece affair, but a whole pitful of oboes and trombones and saxophones and viols and coronets and piccolos, and low and high drums. The last swimmers have come in from the beach now and are dressing upstairs; the cars from New York are parked five deep in the drive, and already the halls and salons and verandas are gaudy with primary colours, and hair bobbed in strange new ways, and shawls beyond the dreams of Castile. The bar is in full swing, and floating rounds of cocktails permeate the garden outside, until the air is alive with chatter and laughter, and casual innuendo and introductions forgotten on the spot, and enthusiastic meetings between women who never knew each other's names. The lights grow brighter as the earth lurches away from the sun, and now the orchestra is playing yellow cocktail music, and the opera of voices pitches a key lighter. Laughter is easier minute by minute, spilled with prodigality, tipped out at a cheerful word. The groups change more swiftly, swell with new arrivals, dissolve and form in the same breath; already there are wanderers, confident girls who weave here and there among the stouter and more stable, become for a sharp, joyous moment the centre of a group, and then, excited with triumph, glide on through the sea-change of faces and voices with colour under the constantly changing light. Suddenly one of these gypsies, in trembling opal, seizes a cocktail out of the air, dumps it down for courage and, moving her hands like Frisco, dances out alone on the canvas platform. A momentary hush; the orchestra leader varies his rhythm obligingly for her, and there is a burst of chatter as the erroneous news goes around that she is Gilda Gray's understudy from the Follies. The party has begun. Fitzgerald was a bright, handsome and ambitious boy, the pride and joy of his parents and especially his mother. He attended the St. Paul Academy, and when he was 13 he saw his first piece of writing appear in print: a detective story published in the school newspaper. In 1911, when Fitzgerald was 15 years old, his parents sent him to the Newman School, a prestigious Catholic preparatory school in New Jersey. There he met Father Sigourney Fay, who noticed his incipient talent with the written word and encouraged him to pursue his literary ambitions. After graduating from the Newman School in 1913, Fitzgerald decided to stay in New Jersey to continue his artistic development at Princeton University. At Princeton, he firmly dedicated himself to honing his craft as a writer, writing scripts for Princeton's famous Triangle Club musicals as well as frequent articles for the Princeton Tiger humor magazine and stories for the Nassau Literary Magazine. However, Fitzgerald's writing came at the expense of his coursework. He was placed on academic probation, and in 1917 he dropped out of school to join the army. Afraid that he might die in World War I with his literary dreams unfulfilled, in the weeks before reporting to duty Fitzgerald hastily wrote a novel called The Romantic Egotist. 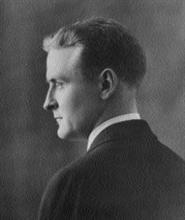 Although the publisher Charles Scribner's Sons rejected the novel, the reviewer noted its originality and encouraged Fitzgerald to submit more work in the future. Fitzgerald was commissioned a second lieutenant in the infantry and assigned to Camp Sheridan outside of Montgomery, Alabama. It was there that he met and fell in love with a beautiful 18-year-old girl named Zelda Sayre, the daughter of an Alabama Supreme Court judge. The war ended in 1919, before Fitzgerald was ever deployed, and upon his discharge he moved to New York City hoping to launch a career in advertising lucrative enough to convince Zelda to marry him. He quit his job after only a few months, however, and returned to St. Paul to rewrite his novel.